Turner's Tokens: IRONWORKZ CLASSES! ALL APRIL!! LOCATED IN AUSTIN, TX- WILL BE HELD EVERY WEEK OF APRIL!!! 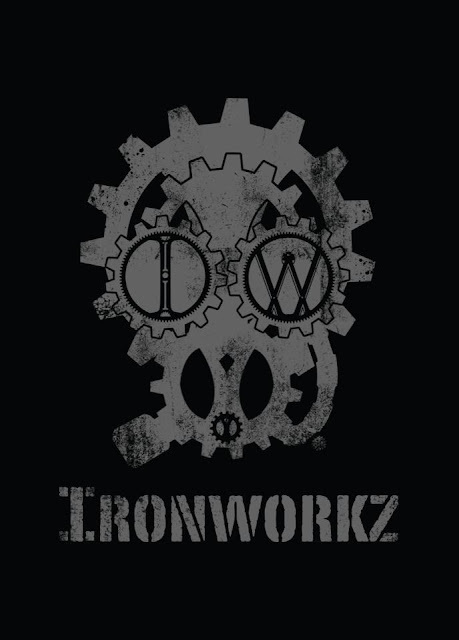 IRONWORKZ WILL BE HOSTING CLASSES IN THE MAIN DEPOT... TUESDAY-FRIDAY FROM 12PM -7PM.....CONTACT JASPER ASHTON TO BOOK YOUR SPOT AS SPACE IS LIMITED. CLASSES INCLUDE MY INSTRUCTION, LEATHER, BASIC HARDWARE AND DYE. WHEN THE CLASS IS FINISHED YOU LIVE WITH YOUR CUSTOM GIFT.......AND SUPPORTS A LOCAL ARTIST COMPANY. TUESDAY CLASS - $40.00 COST - BRACELETS AND WRAPS .WE WILL BE GOING OVER BASIC LEATHER PRINCIPALS AND GENERAL LEATHER KNOWLEDGE. WEDNESDAY CLASS - $69.00 COST - BASIC BELTS . WE WILL BE GOING OVER STAMPING, BASIC TOOLING, SWIVEL KNIFE AND BEGINNERS STITCHING....REMEMBER TO BRING YOUR FAVORITE BUCKLE,,,, IF YOU DONT HAVE ONE GO TO GOODWILL OR ANY LOCAL RESALE.... OLD BELTS ARE ABOUT $2 BUCKS. THURSDAY CLASS - $80.00 COST- MASQUERADE MASK - YOU WILL NEED TO HAVE BASIC LEATHER WORKING KNOWLEDGE FOR THIS CLASS. WE WILL BE INTRODUCING WATERFORMING IRONWORKZ STYLE. WE LOOK FORWARD TO TEACHING YOU OUR SKILLS TO FURTHER PUSH THE LOVE OF LEATHER CRAFTS. ALSO I AM CURRENTLY LOOKING FOR A STUDENT. MUST HAVE THE TIME TO DEVOTE FOR THIS IS MY PASSION.